American Herring Gull (smithsonianus) 1106-21034 / tag X35 adult, October - November 2017, St John's, Newfoundland. Picture: Lancy Cheng. 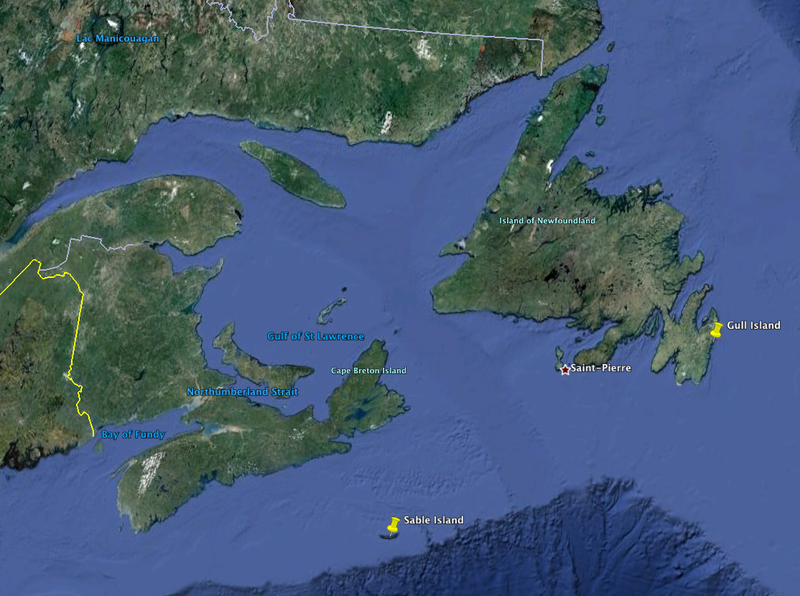 As part of a larger study, Alex and his colleages put wing tags on 37 adult Herring Gulls on Gull Island in the Witless Bay Seabird Ecological Reserve off Newfoundland’s Avalon Peninsula. The tags are beige with black codes like “X07" or "X29". 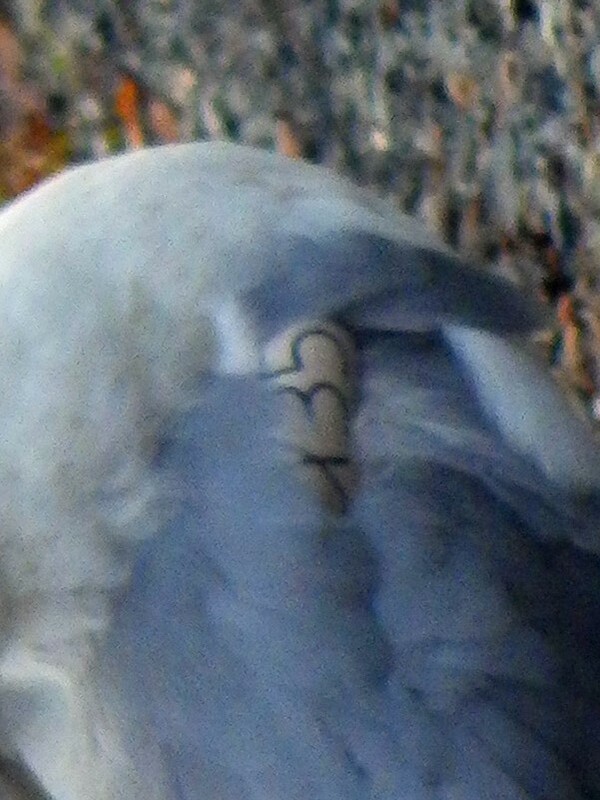 The birds were also fitted with the black-on-orange colour bands that have been used in Newfoundland for many years. 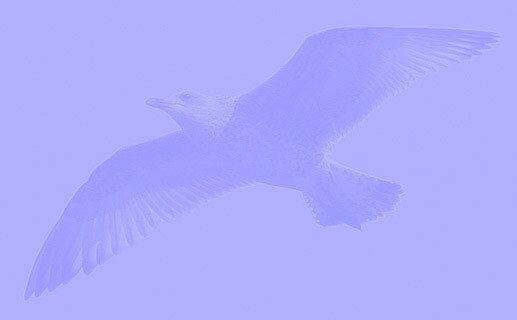 We know from other band returns that Newfoundland’s breeding Herring Gulls range from southern Labrador to the Carolinas. Any resights can be reported to the Bird Banding Office/Bird Banding Lab (www.reportband.gov), or directly to Alex at alex.bond@usask.ca. See also ZE / X03 on the nest. 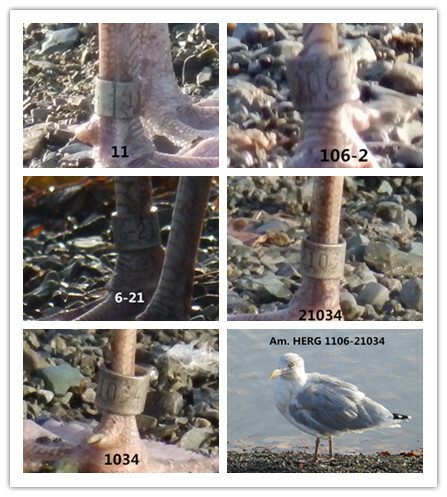 HERG seen on Oct-24 and Nov-02 & 10.
below: American Herring Gull (smithsonianus) 1106-21034 / tag X35 adult, November 10 2017, St John's, Newfoundland. Picture: Lancy Cheng. No plastic / X35: in active moult with P8 f.g. (tip of P8 just longer than P7). Much black on P5. Speckled iris. below: American Herring Gull (smithsonianus) 1106-21034 / tag X35 adult, November 02 2017, St John's, Newfoundland. Picture: Lancy Cheng. below: American Herring Gull (smithsonianus) 1106-21034 / tag X35 adult, October 24 2017, St John's, Newfoundland. Picture: Lancy Cheng.